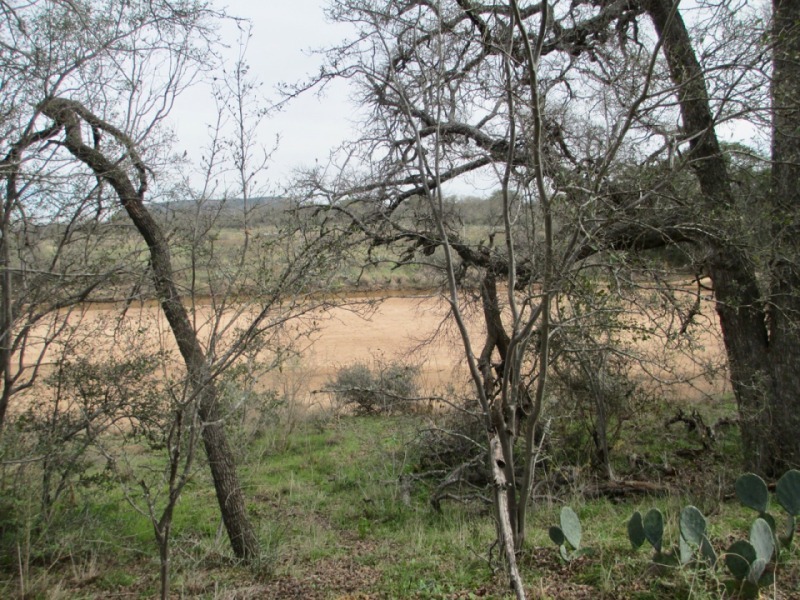 2019 marks the tenth year we have owned our property in SW Llano County. In some sense, it seems that we have always had this place, in other ways it seems we are just getting started. In recent months I have looked over the notes and haphazard records of these years, and I recognize a steady progression from typical new owner zeal and ignorance, to a more measured and realistic approach to land management. It’s no overstatement that owning this little slice of the Texas Hill Country has changed my life. Despite the disappointments of erratic weather and chronic hog invasions, I realize just how hard we have worked, and how that work has changed the landscape and helped the land begin to recover. Despite all the work we have done, there is still one area that I have been wanting to tackle for some time now. On our southern border along Marschall Creek is a remnant woodland that has been completely choked by whitebrush, (aka bee brush, (Aloysia gratissima). The previous landowner regularly bulldozed sections of the property, which only exacerbated the sprawl of this vigorous re-sprouter. The remaining trees there are spindly and suffocating. Jack kept asking me, “Why do you want to spend money in that part? 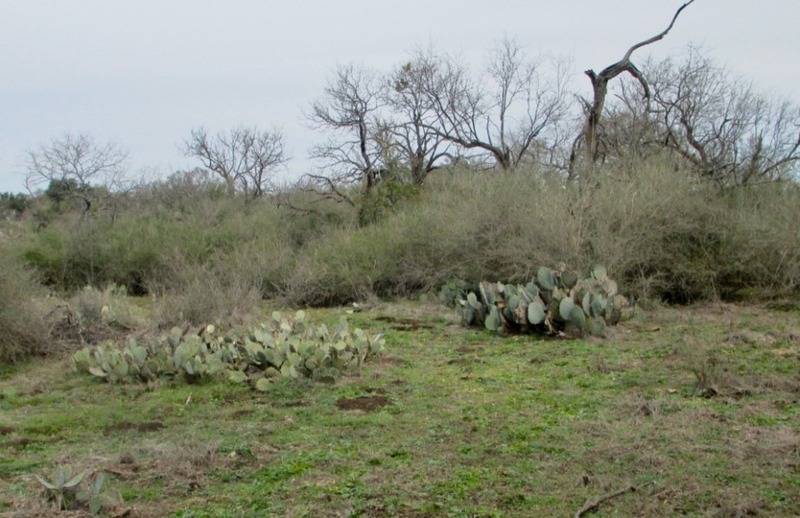 We never go up there and it’s far from the house.” My response was always the same: “We never explore up there because the brush and tasajillo (Opuntia leptocaulis) is so thick you can’t walk through it!” As the saying goes, “There is no “there” there! 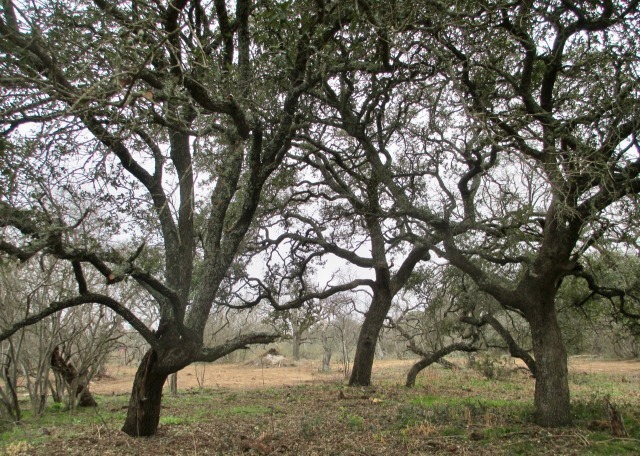 Woodlands across the Edwards Plateau have been in decline for fifty years, and conditions on our place are no exception. Natural recruitment and establishment of new trees is uncommon, largely due to excessive browsing by deer and exotic game. Drought and disease are also a concern. 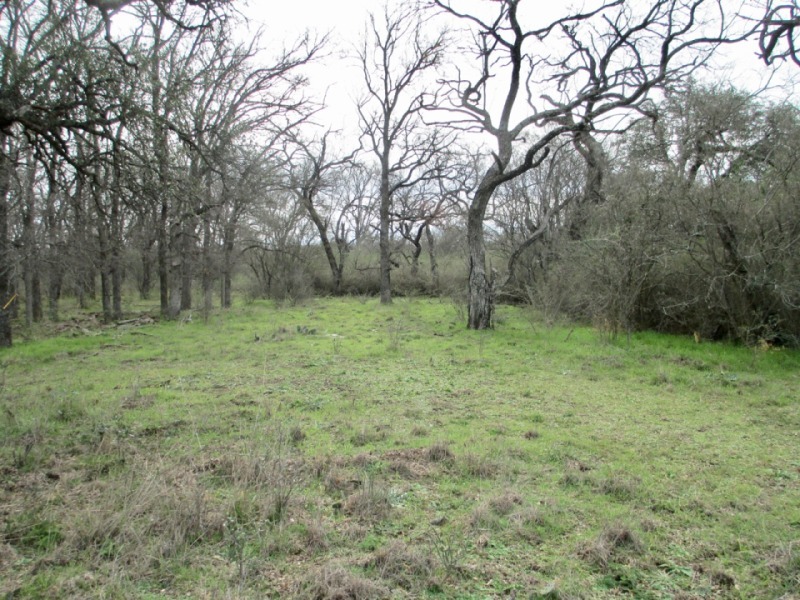 Thus, this four acre patch of tall cedar elms, pecans, mesquite, live and post oaks, hackberries and chittam wood trees has become more precious to me, and I searched for ways to save it. This project has seemed so daunting to us, I knew it would require careful planning if we were to expect any success. Removal of white brush is challenging because even small roots and stems left behind may re-sprout and soon grow into large plants. Foliar herbicides (i.e., tebuthiuron “Spike”), listed for control of this species, are not acceptable in this location due to the proximity to the creek, and also because the chemical can easily affect non-target species. Spike also remains active in the soil for a long period. 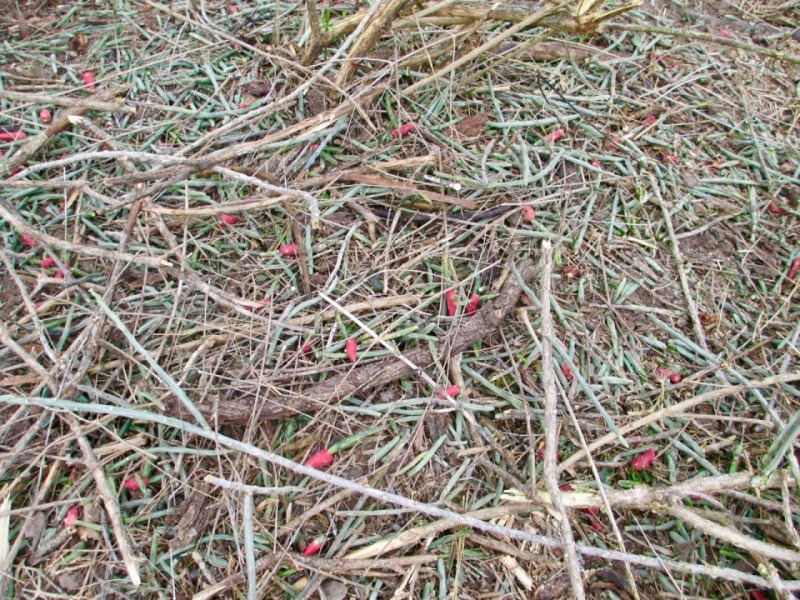 Originally I had thought we might experiment with shredding some areas of the thicket and then treating the remaining stumps and stems with triclorpyr (“Remedy”). Eventually I realized that the brush in this area is too thick to even attempt to back a shredder into it. Although I have had success in using triclorpyr to treat the stumps of scattered, individual large white brush I am too puny to grub out, the plan to spray a non-listed chemical on hundreds of ragged stems and stumps seemed too risky and ineffective. A year ago I started talking with people about the best ways to go about clearing brush that would protect existing trees and cause a minimum of soil disturbance. Jack and I arranged to visit Mason Mountain Wildlife Management Area, where manager Mark Mitchell gave us a demonstration on whitebrush removal using a skid steer with a special rock rake attachment. Instead of gouging the soil, the machine is able to “pluck” up the white brush and pile it, while also being able to maneuver among the trees. It was immediately clear to us that that was the proper tool for the job. Fortunately for us, Dale Schmidt, our former TPWD biologist, retired last year, and we were able to hire him as contractor. He has a skid steer with a stump bucket and root rake very similar to what we saw a MMWMA to grub up the white brush, rake and pile it. We planned to time the work when the soil moisture was just right – wet enough to be able to pull the brush without leaving too many roots in the soil, but not too wet as to either rut or overly compact the ground. Soils in this area are generally sandy to sandy loam, but it’s also highly variable. 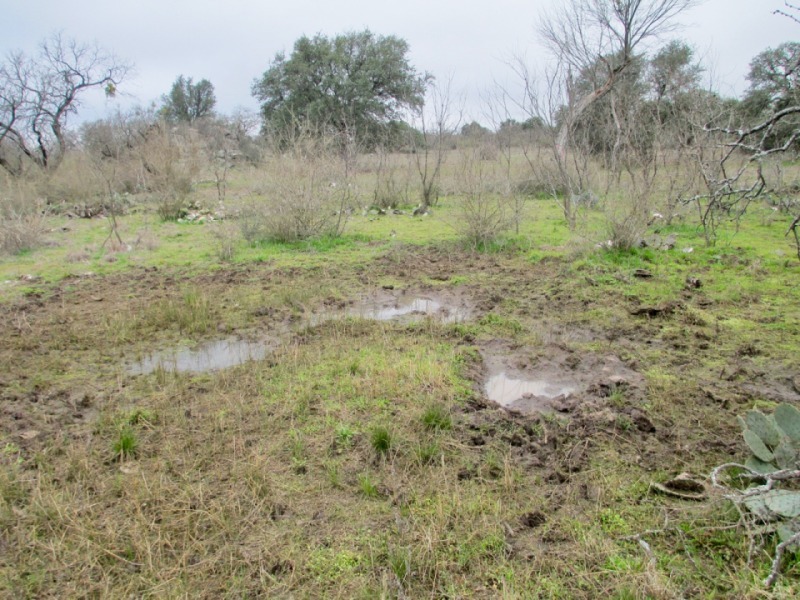 Some areas have a clay layer beneath which the hogs have converted to wallows. Following clearing, we planned to sow native grass seeds in part of the area to compare recovery rates with unsown zones. If we can get lucky with rainfall, the native grasses could help fill up bare areas and lessen the impact of invasive species taking over. 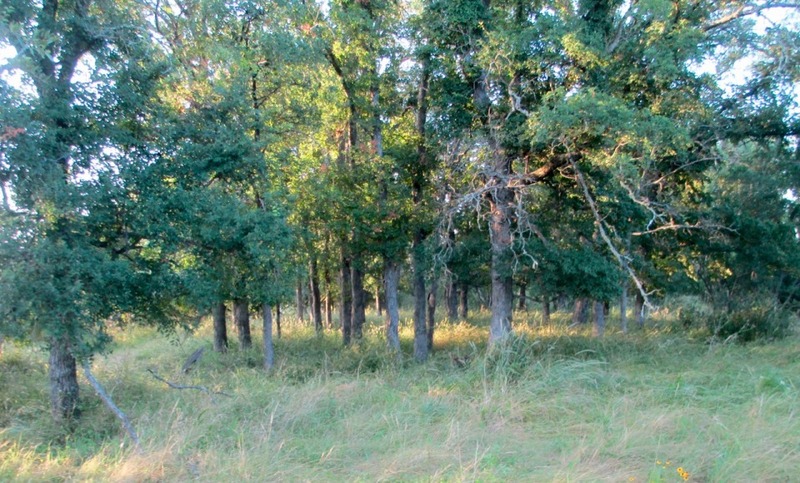 Before beginning the clearing, I established photo points to record changes in the landscape. 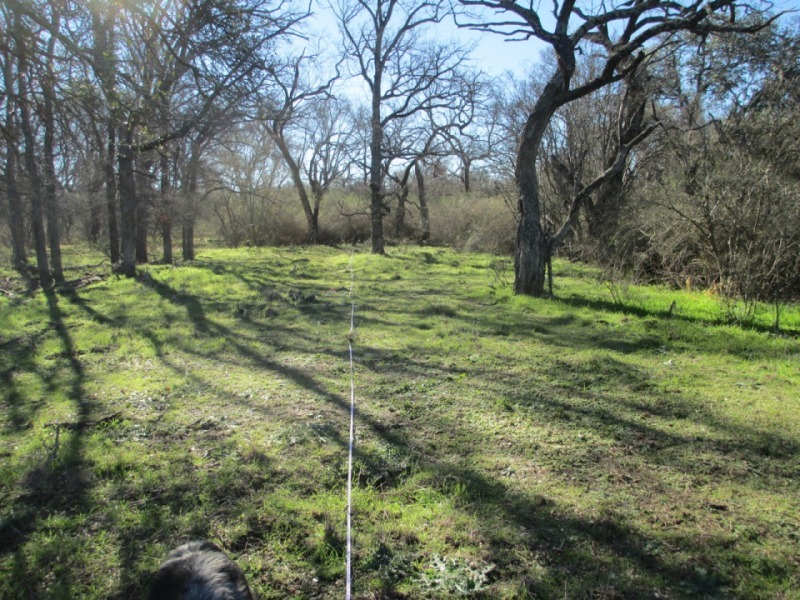 With the help of our current TPWD biologist, Chris Mostyn, we ran a simple transect and several Daubenmire meter frames in order to establish a general sense of plant density and variety in the area to be cleared. We will have years of continuous “editing” and removal of re-sprouting whitebrush, and persimmon away from the trunks of high value trees. 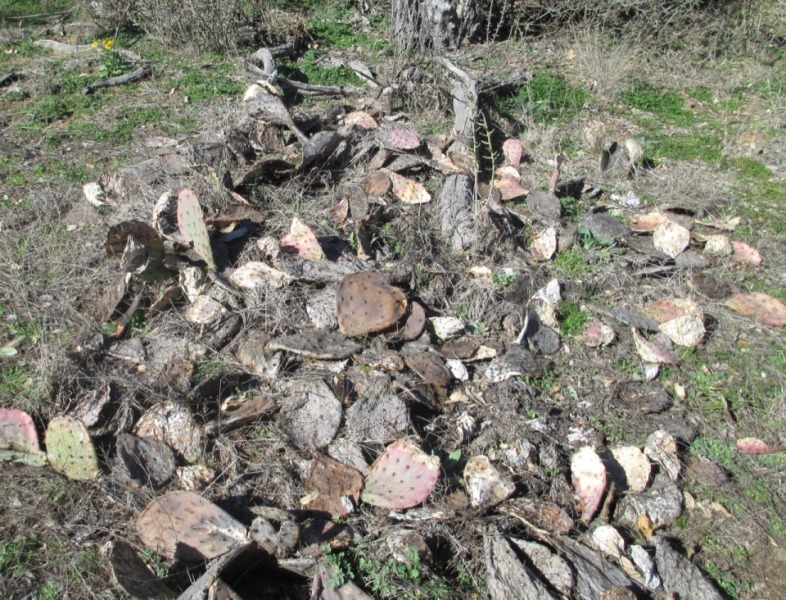 Controlling regrowth of prickly pear and tasajillo will also be important. We plan also to set up a small exclosure to monitor differences in the recovery of vegetation between browsed and unbrowsed areas. 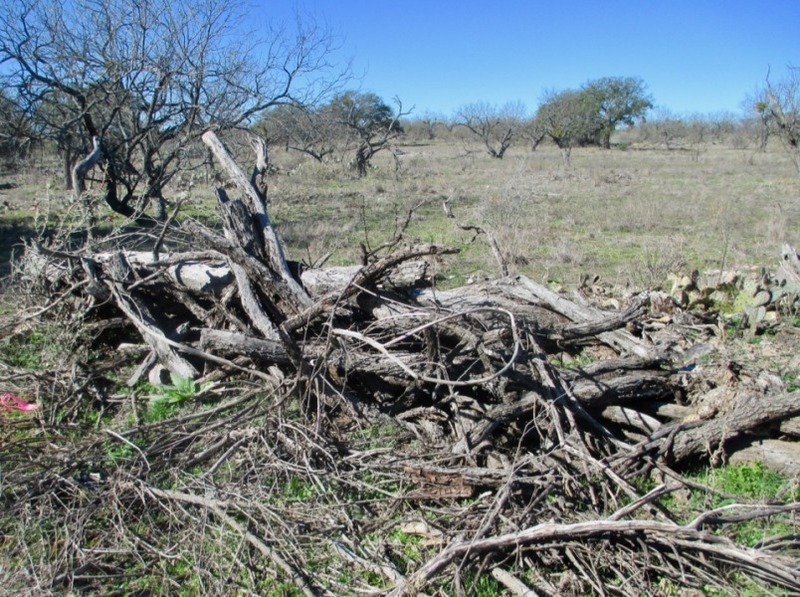 While the project area will be small, we hope to better describe some general observations on the response of landscape following clearing and seeding. As always, this will be a multi-year project. It’s hard to put a number on just what percentage of whitebrush we should try to remove in order to prevent immediate re-growth. How much area can Dale remove in 3 days? What will he find once he gets in there? Do we aim to clear a smaller area more thoroughly, or use the equipment to open up access to a larger area that we can gradually hand clear? These and other decisions will have to be made on the fly, because we can’t predict ahead of time. Three days of brush clearing with equipment. Set photo points and perform transect measurements. - Rinse and repeat, hopefully to a lesser degree of intensity. That’s the plan. Stay tuned for another report soon on how it all turned out.